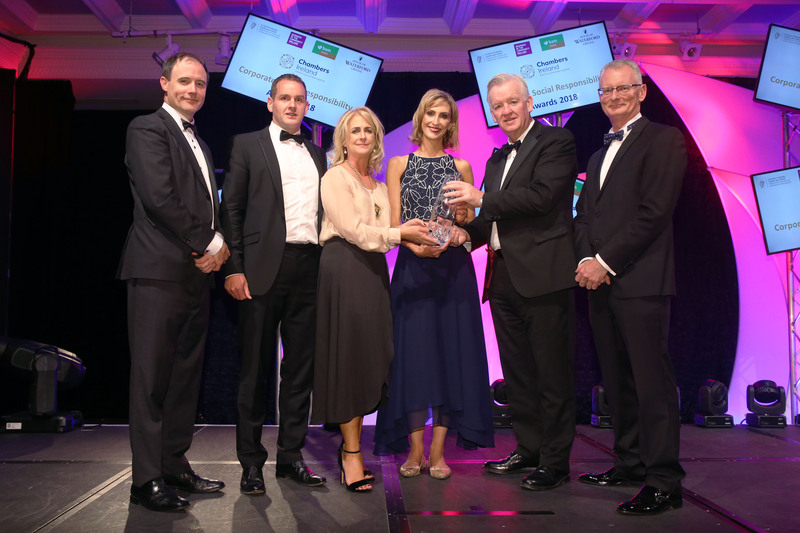 Lidl Ireland has been awarded the Outstanding Achievement in Corporate Social Responsibility (CSR) 2018 Award at the Chambers Ireland CSR Awards. The ceremony was held in the Clayton Hotel, Burlington Road in Dublin last night (20 September 2018). Lidl Ireland’s CSR programme demonstrated company-wide engagement and impressed the judging panel by performing consistently well across all aspects of CSR. “In an economy in almost full employment and with a serious skills shortage, sustainability becomes a real differentiator in business and a significant source of competitive advantage. Tonight’s awards recognise exemplars in sustainability in Ireland and we hope these inspirational examples will be used to promote collective action on key areas such as the need for Ireland to transit to a low carbon economy and secure meaningful social cohesion”. “Ireland today is a wellspring of vital and inventive CSR practices across the business spectrum and the annual CSR Awards are the perfect opportunity to celebrate and pay tribute to the most exciting projects happening today. 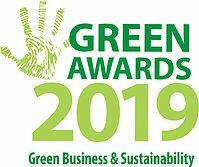 Over the past fifteen years of the awards, the bar continues to be raised in terms of the level of ingenuity behind each applicant’s projects as well as the depth of engagement with sustainable and socially responsible goals. This fifteenth edition of the annual Awards was run in association with the Department of Rural and Community Development, partnered with Business in the Community Ireland and kindly sponsored by BAM Ireland. The Environmental Protection Agency sponsored the Excellence in Environment Award and One4All sponsored the Excellence in Workplace Award. Each winner was presented with a specially commissioned trophy designed by Waterford Crystal. 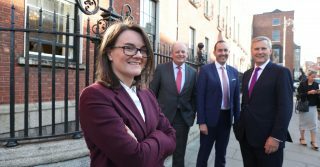 “BAM is proud to partner with Chambers Ireland once again for the 2018 CSR Awards which showcase the sterling work being undertaken by companies committed to Corporate Social Responsibility. Ireland is recognised internationally for its CSR excellence and the leadership position that our businesses take in contributing to a better society. At BAM we place CSR at the heart of everything we do and it is extremely heartening to see the quality of projects ongoing across the country in all sectors”. Diageo Ireland for the St. James’s Gate Quarter – Conversations at the Gate project. 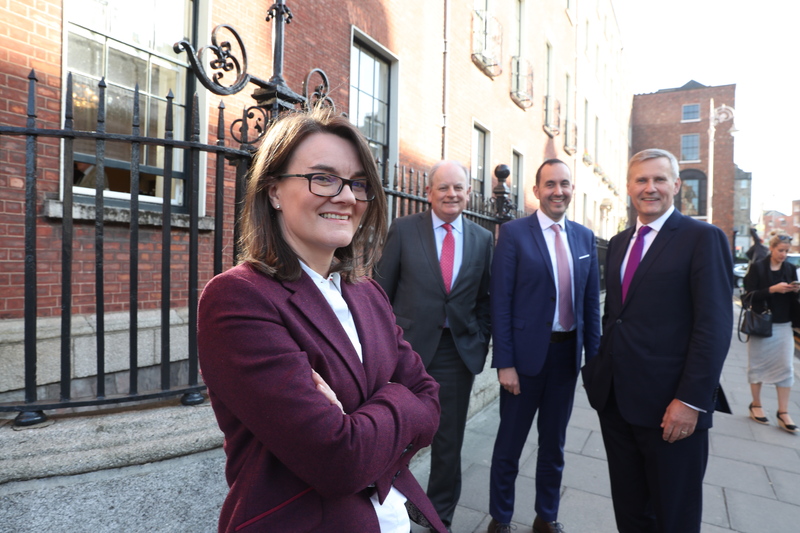 As part of Diageo’s plans to transform part of St James’s Gate into one of Ireland’s and Europe’s most dynamic and sustainable urban quarters, their project was designed to engage with as wide a range of local and national stakeholders as possible. Local community feedback has been incredibly positive with great excitement and positivity about the Quarter and the future development. Diageo Ireland for their project Celebrating 200 Years of the Dublin Pub – Diageo and LVA ALONE Partnership. Diageo’s master brewers created a new beer, Dublin Amber Ale, with 50 cent from each pint sold donated to ALONE. Over 300 pubs took part and over €225,000 was raised for ALONE, which is using the money for its Befriending network and to build homes for older people. Vodafone Ireland for their project Vodafone and Childline – Working Together to Keep Children Safe by Keeping them Connected. Now mid-way through their five-year partnership Childline has been enabled by Vodafone to reach out to children all over Ireland through an innovative marketing campaign, involving advertising, PR and packs for school classes, teachers and parents, normalising talking and, promoting a culture of talking and resilience for children. Deloitte for Deloitte’s Green Agenda project.Now in its 10th year, Deloitte’s Green Agenda programme continues to make a positive impact on the environment. The Green Agenda addresses several environmental issues including climate change, air pollution, water consumption, waste production, biodiversity and resource consumption. The programme has allowed Deloitte to embed sustainability into the firm’s operations while promoting employee awareness of environmental issues at home and in the office. Lidl Ireland for their project A Better Tomorrow. Lidl Ireland developed a sustainability strategy with clear targets to be achieved by 2020, in areas such as waste emissions, energy, water, responsible sourcing of products, health and nutrition and social sustainability. Major environmental achievements in 2017 included: ISO50001 energy management accreditation zero waste to landfill, a battery recycling campaign and a food redistribution programme. Earth’s Edge for their project Explore, Experience, Evolve. Earth’s Edge partnered with Warrenmount Presentation, a disadvantaged girls school in Dublin 8, to take four groups of students to the Shankill Forest. The programme was designed to promote confidence, well-being and fitness amongst the students by offering introductory training in outdoor skills. VMware International for the VMware Cork Giving Network project. Through the Cork Giving Network, the VMware Cork workforce of over 1000 people gave back to the community by using 40 service learning hours and take part in initiatives such as Coder Dojo, Age action, and Women Back to Work. With a mantra of “Serve-Learn-Inspire” the project ensures that employees can volunteer with the charities of their choice with 70% participation in 2017. Little Island Industries Development Company for their project Little Island Industries Development Company (LIIDC) Many of the industries in Little Island have pooled their skills and resources to provide ‘monetary and advisory support in the areas of social, recreation and general development, which benefit the communities of Little Island and Glounthaune’. Over 27 years LIIDC has supported 90 individual projects for the direct benefit of the community. Lidl Ireland for their project Lidl Community Works. The objective is to be a good neighbour by positively contributing to communities. In 2017, Lidl’s community activities were expanded with new initiatives such as ‘Lidl Feed It Back’; a food redistribution programme, ‘Charity of the Week’ and Autism Aware stores. Lidl also continued to work closely with Barretstown, reaching a fundraising milestone of €2 million. Eir for their project eir Wellness: Live Life, Live Well. The programme not only improves employee health but promotes workplace camaraderie and emotional well-being. and 290 people signed up for the eir Challenge raising more than €67,000 for eir’s key charity partner, Special Olympics Ireland. Boots Ireland for their project Boots & See Change: De-stigmatising Mental Health. Boots Ireland partnered with See Change in 2017 to bring about positive change in attitudes and behaviours towards people experiencing Mental Health difficulties. They undertook a range of activities including an online Mental Health survey training about how to support colleagues an online e-learning Mental Health module and also participated in See Change’s Green Ribbon campaign. Bank of Ireland Workbench. is a unique concept which connects entrepreneurs, BOI colleagues and the local community by offering a free dedicated space for co-working, product launches, and events. The first workbench was opened in January 2015 in Grand Canal Square with 13, 000 people using the space in the first year. Following this success, an additional five Workbenches have been opened across the country. Diageo Ireland’s Learning for Life Refugee and Asylum Seekers Programme is a pilot project, providing education, training and employment opportunities for newly arrived migrants. Through training and education, cultural learning and mentorship, Diageo and its staff, in partnership with the Department of Justice and the Immigrant Council of Ireland, have worked with participants based in the Mosney Centre to train them in to work in the hospitality sector and integrate into Irish work and life. OpenApp for their project Rare100. Rare diseases affect an estimated 300 million people around the world and 30 million in Europe alone. Despite this, there is no cure for the majority of rare diseases and many go undiagnosed. Rare100 provides a free web-enabled patient registry for patient organisations of a population of less than 100 patients. This enables organisations to gather data which will improve the lives of people suffering with rare diseases.